Meh. This one just wasn’t my cup of tea. I didn’t expect it to be, really, but it just didn’t work out. Guess I should have seen that coming, but still disappointing seeing how much I have been enjoying this Lincoln Rhyme run I’ve been on. 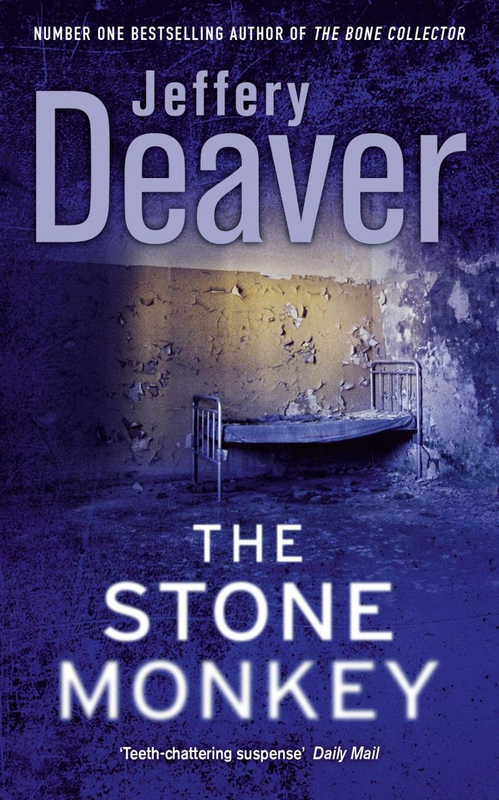 The story just had so many twists and turns, and this time the finale twist was super predictable, which was disappointing for me because I like how Deaver always keeps you guessing. This book had good intentions, sure, but just didn’t deliver the goods. The characters brought into this story were a solid mix of interesting and frustrating, so there is that. Deaver returns a litany of characters to us that we enjoy – dear Fred Dellray, Lon Sellitto, Thom and Mel Cooper all take up space here again, and as always, the entertain. Some of the new characters, such as Sam Chang and Sonny are also pretty cool. Rhyme and Amelia continue to deal with the struggles in their relationship, pertaining to everything from children to operations to help Rhyme’s quadriplegia. The Stone Monkey isn’t a bad read, it just felt a little lacklustre to me, especially compared to some of the earlier books. I wanted more Rhyme as we have come to know him. I am looking forward to reading more in the series, but I truly hope this doesn’t mark a crazy downturn in the quality of the work I have come to expect. SYNOPSIS: A quadriplegic since a beam crushed his spinal cord years ago, Rhyme is desperate to improve his condition and goes to the University of North Carolina Medical Center for high-risk experimental surgery. But he and Sachs have hardly settled in when the local authorities come calling. In a twenty-four-hour period, the sleepy Southern outpost of Tanner’s Corner has seen a local teen murdered and two young women abducted. And Rhyme and Sachs are the best chance to find the girls alive. Well, this one has been really different from the previous two books in this series. Like, totally different. I read this fast on the heels of The Coffin Dancer, which I liked a lot. This one… I just don’t know. It was just not at all what I have started getting used to in the series. While not terrible, it certainly is a rather weak entry, to be sure. The characters are odd. I am not talking about the new ones brought in for this book’s story (that’s a whole different kettle of fish), I am talking about our mains. Rhyme and Sachs didn’t feel true to themselves and came across and forced and awkward, and there are massive jumps in their relationship that just randomly popped up (kids being a big one here), and it was really jarring. That being said, there also seems to be this massive distance between Sachs and Rhyme that has not been there previously. Sachs is also more headstrong and less logical than usual, and Rhyme is far too emotional about thing. I found the humour to be very limited in this book, but Thom and Rhyme together are, as always, an absolute treat. The Empty Chair really came across like it was painting these Southerners as backwards and revenge-fuelled and crazy. It seemed overly stereotypical, and that didn’t come across as natural. The story is, of course, twisty as hell, and it was an enjoyable ride, it just feels like it is not nearly as sharp a story as I have come to expect, and fell flat a bit. I guess what I am saying is that this book is a bit messy. 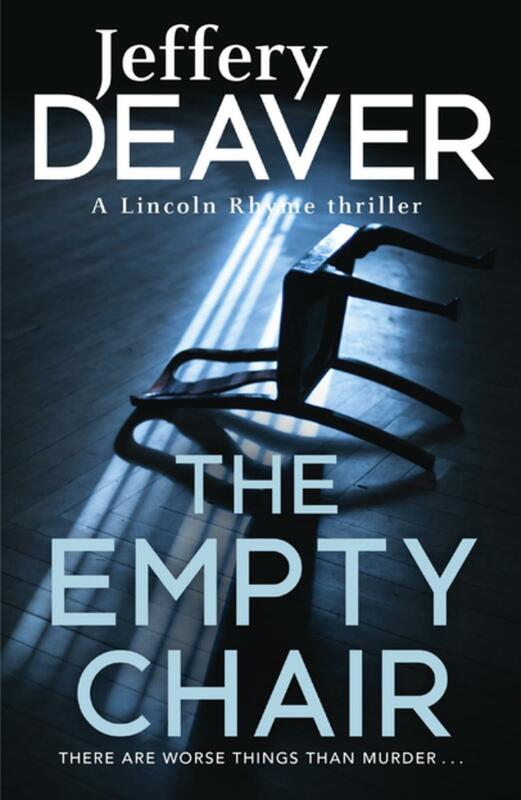 The Empty Chair is not as smart as its predecessors, and while it is a bit messy, it is still a fast, entertaining read, just a weaker entry to the series is all. Maybe because the characters were out of their element, it threw the reader out of their element, too, but yeah. Decent but flawed read. Alrigthy then folks, let’s get on with this series! I recently read the first one after putting it off for so many years (don’t you dare judge me, my To Read list is so daunting I sometimes just stare at my Kindle wondering where I will go next on my reading journey, and then just keep staring). I loved it, and I just knew that I had to keep on with it and see where it all went. Well, the follow up to The Bone Collector certainly does not disappoint! Lincoln Rhyme returns in style, and certainly has more drive for living than he did in the first one. Apparently the Bone Collector drew him out of his depressive shell, and reuniting with Sellitto and acquainting with Sachs is the best thing that could have happened to him. I truly enjoy Rhyme’s mind, and was again drawn into this book and fascinated with our main man being a C4 quadriplegic. Sachs, too, is a character I thoroughly enjoyed. They both had actions in this book that felt a little jarring to the characters we have been presented with up to this point, but oh well. Percey Clay is a character that really peeved me in the beginning, and not just because I am attached to Sachs and love the interactions between her and Rhyme (that dynamic is fascinating). No, I had beef with how incredibly selfish Percey was, and then she was lauded as being to brave. No, being pigheaded does not necessarily make you brave. Ugh. But on the opposite side of her, we have Roland Bell and Fred Dellray to read about, and they are both characters I thoroughly enjoyed. I always appreciate reading the interactions between Rhyme and Thom, they are like family, and Thom does not put up with Rhyme’s temper and neglect of his body, and the two are quite close. This is never more clear than when Thom is proud of Rhyme’s accomplishments and how much he (Rhyme) is enjoying his new gadgets, etc. It’s adorable. Then there is the realtionship between Sachs and Rhyme, and I really like it because it is not a romance as you would think of it – that fire is there, don’t get me wrong, but they have immense amount of respect for one another and both push each other, which I like. I did not like the insane jealousy plot that was put in here, it felt a little forced and silly. The Coffin Dancer was another smart, worthy nemesis for Rhyme to track, and it was quite an intense journey. The Coffin Dancer is as twisty as you would expect, which totally works, and kept me hooked. The plot barrels along, proving that Deaver is quite a deft writer. There are some niggles and issues here, to be sure, but for the most part this is a super entertaining read. Overall, The Coffin Dancer is a solid follow up for Lincoln Rhyme, and this series has certainly hooked me with these two books. I am really looking forward to reading more on this. The books so far have proven to be smart and well written, two things I appreciate in a book. I have wanted to read this book since I watched the movie way back in the day. I loved that movie, it was something I watched over and over. Recently I stumbled across this and decided it was finally time to take the plunge and look into the book once and for all. Plus I figured if it was worth a read, I would have a new series to pursue, which I always enjoy. 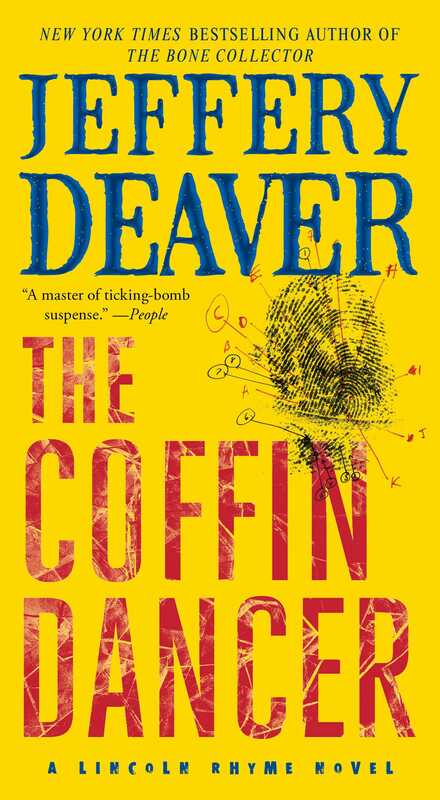 Right out the gate, I really enjoyed Deaver’s writing style. It flows, doesn’t beat around the bush, and it is fast paced. The Bone Collector grabs you early and draws you in and keeps you hooked. Deaver also introduces a fantastic character with Rhyme, one who is surly and grumpy and angry with the world, and you can totally understand why. He is ridiculously smart, too, and I think that is great. Amelia Sachs is also a character you cannot help but like, and the interactions between her and Rhyme are fantastic. The slew of side characters are also solid, definitely contributing to the book. I particularly appreciated the humour in this book – it is witty, sharp and very sarcastic, which definitely appeals to me. There were a few times where I felt the smile taking over my face. The Hardy Boys, especially, brought in quite a bit of comedy, as well as the interactions between Thom and Rhyme. The novel barrels along and drags you, the reader, along for the ride, missing no beats and entertaining throughout. Amelia and Rhyme have a complex relationship, too, which I respected throughout. The dynamics were not simple ones, and they clicked really well. It did not come across as forced. 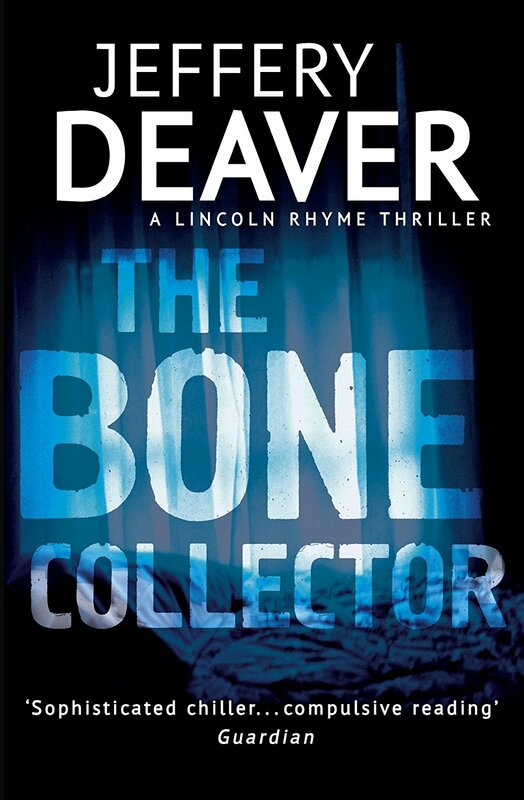 The Bone Collector is a suspenseful read that is well worth your time. Deaver creates an remarkable character with Lincoln Rhyme and presents a gruesome, yet intriguing unsub, and the back and forth between Rhyme and his investigation and the killer’s point of view work for this. I truly look forward to seeing where these adventures will lead.